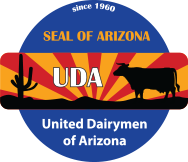 All Arizona dairies are equipped with high-tech cooling systems to keep cows cool. 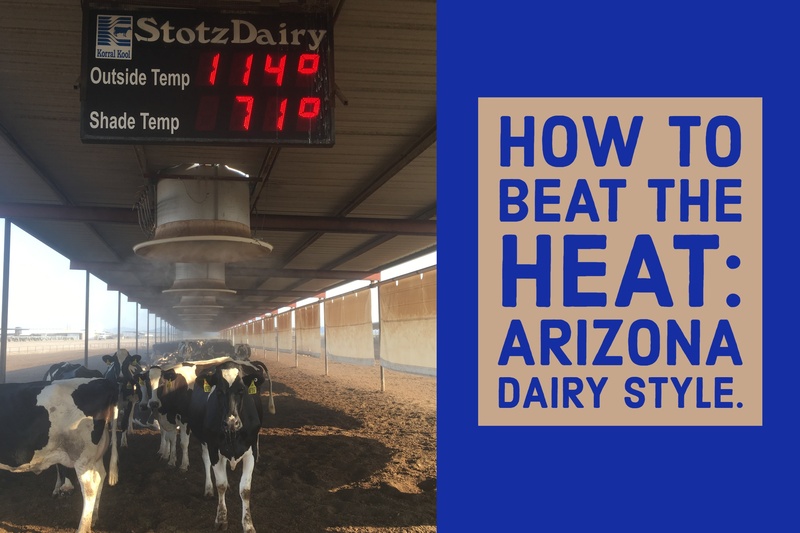 At Stotz Dairy in Buckeye, they are able to take into account the temperature, humidity, and wind speed to create the perfect water droplet for cooling. This precise cooling system ensures the cows get wet but the ground stays dry and free of mud. So even when the forecast calls for extreme heat, Arizona cows will always stay cool.